Eastleigh councillors have voted in favour of plans that will see over thirty trees bulldozed to make way for two drive-thru takeaways and a car dealership at the former civic offices site at Fleming Park. The decision was taken at Tuesday night’s meeting of Eastleigh Local Area Committee despite local residents presenting a petition with over 800 signatures opposing the plans. The council had also received 60 letters of objection and a representation opposing the plans from Eastleigh’s MP Mims Davies. Just two letters were received that were in favour. Around 30 people in total were in the public gallery. Local residents and businessmen and activists from the town’s opposition political parties were united in their disapproval of the plans which will see the proposed units extend beyond the current footprint of the demolished Civic Offices and Magistrates Court and encroach even further onto the parkland. The meeting heard how 30 individual trees plus ‘two groups’ of tress would have to be axed including mature A and B specimens. A Norway Maple, London Plane, Ash and a large mature Oak would all have to be felled to make sure the car dealership showroom frontage would be visible to passing traffic on Leigh Road. 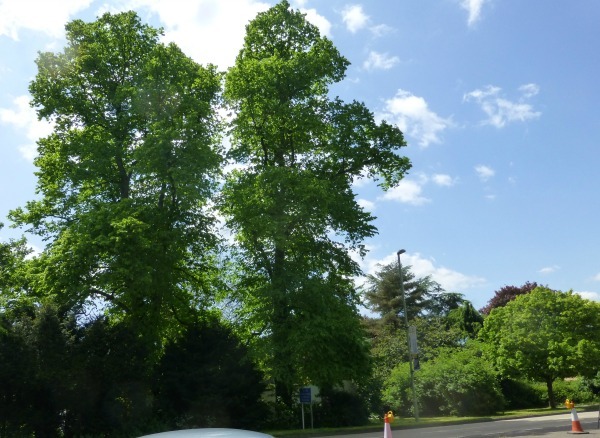 In a report Eastleigh’s Head of Countryside and Trees said the loss of trees in the plan was “particularly disappointing”, “regrettable” and “a considerable loss of valuable trees”. “but you are taking them down”. Several councillors were also unhappy at the potential loss. Cllr Chris Thomas proposed that the felled trees should be replaced, at a minimum, on a ‘two for one’ basis. There was some support for this from other Committee members but a planning officer told them that some of the tress weren’t worth replacing. Cllr Thomas wasn’t entirely happy with this and after a wrangle it was agreed that it be noted that ‘two for one’ replacement strategy should be starting point for an environmental mitigation plan yet to be drawn up. At this stage it is not clear where and when any replacement planting would take place, or how much it would cost but after the meeting the Chair Cllr Bicknell said “the reality is quite a bit will be planted on Parkland”. The current plans also propose the creation of some small wildlife ponds to compensate for the loss of woodland. 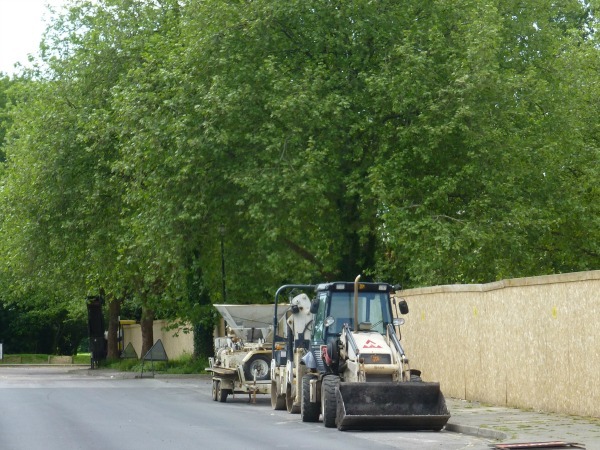 It will be the council who will be paying to replace its own trees as it is the council who is the landowner and is both the planning applicant and the planning authority. On this point Conservative Cllr Judith Grajewski – who is not a member of the committee but is a County, Borough and Parish Councillor for Chandler’s Ford – described the arrangement by which the council considers whether or not to grant itself planning permission as “inappropriate”. The committee also heard from some of their leaseholders. Accountancy firm Langdown DFK lease the council owned Fleming Court business Centre which is home to 20 businesses who are based in the period farm buildings. Two representatives from the firm told councillors they were unhappy that a fast food drive thru was being constructed just feet away from the listed building, saying the noise and smell would be a nuisance. The proximity of a fast food outlet would be totally unsuitable to the business centre’s general ambience they added and was not what they’d had in mind when they signed up to the lease. Protestors have previously staged a demonstration on the site, calling for the land to be used for affordable housing. Protest organiser, Eastleigh Labour Party Chair Steven Phillips, also spoke at the meeting telling councillors that the kind of low-paid zero-hour jobs associated with fast food takeaways would not allow people to get onto the housing ladder saying “low paid jobs are not the answer” to Eastleigh’s housing crisis. A council officer explained the business case for the application saying that the site was in the motorway corridor which made it unsuitable for housing but ideal for business use and there was a need for land to be used for employment as well as housing. The council were committed to getting a return from the land to help fund frontline services and keep Council Tax low. He added the plan had always been that development of the site would pay for the refurbishment of Eastleigh House – the new civic offices in the Town Centre. This is in keeping with current Liberal Democrat administration’s strategy of using their status as a local authority to borrow money at low rate of interest to build up a portfolio of commercial property in the town to use as an income stream. The officer added that the reason that the council were considering developing the land for takeaways was because these were the only proposals that had come forward from interested operators, furthermore they insisted that they had not yet decided who the actual tenants would be – although the initial papers suggested it would be McDonalds and Starbucks. Planning officers said the identity of the operator was irrelevant; “you are voting on the use of the land, not the end user”. Cllr Thomas went as far as to suggest it might not even be used for a drive-thru. “It could be a Harvester or a Costa”. Residents from nearby Cherry Tree Court also told the meeting they were concerned by the increase in traffic a fast-food restaurant would bring but planning officers responded by saying that traffic levels on Leigh Road were so bad already a drive-thru wouldn’t make much difference and traffic would certainly be no worse than when the Civic Offices were in use. Ukip activist John Edwards spoke from the gallery to say he believed the planning officers had underestimated the potential increase in traffic due to the drive-thru’s proximity to the motorway junction. But Cllr Thomas said he thought the idea of a local referendum was “daft in the extreme”. The recommendation of the planning officers was to grant outline planning permission as there were no valid legal grounds not to. This is normally enough to persuade councillors to vote as directed – a consequence of going against legal planning advice is that the applicant would have grounds to appeal and this can be costly. In 2008 EBC had to pay £145,000 in costs after they went against the planning officer’s recommendation and blocked a development at Wildern Mill. But it is not unknown for local Area Committee’s in Eastleigh to side with residents and vote against a planning officer’s advice. The situation in this case is different. The applicant is the Council itself of which all committee members are also serving councillors. To go against advice would lead to an awkward and unprecedented situation where the Council would have to consider appealing against the decision of one of its own committees. In the end the committee members unanimously decided to go with the planning advice and grant the council outline permission. The meeting had been a bad tempered at times with loud mutterings and heckles from some members of the audience causing the Chair to stop proceedings and call for order several times and after the vote there were calls of “disgusting”, “carry on ELAC” and “crooks”. The application will now go forward to be discussed in greater detail in further meetings some of which will be held in public. Afterwards protestor Victoria Mant told Eastleigh News she was ‘disappointed’ with the result but residents would not be giving up their fight. “This exciting development provides an ideal location for additional employment land for new businesses with the creation of jobs and opportunities for local people. “The Council retains ownership of the site and the business premises will add to the council’s property portfolio that provides a significant rental income to the Council thus helping to keep council tax low, without cutting services, for everyone in the borough”. But as we all know, Eastleigh LibDem Councillors are incapable of thinking for themselves or voting with their Conscience. The officer told them that there were no legal grounds to deny the application and to do so may mean the applicant (Eastleigh Borough Council) could appeal. Not one of those, WHIPPED, LibDem Councillors questioned that. Not one said “There may be no legal grounds but there is indeed moral grounds. I was elected by the people to serve the people and be their voice. I object to this because the people object”, “I serve the people” NOT ONE OF THEM SAID IT! That’s what I would have said after hearing the objection from the public and seeing the 900 signature petition. That is what a responsible Councillor, doing his job properly, would have said! Come on people what did you expect from ELAC. They have a long proven track record of cutting down trees and building on parkland when it is their own planning application but objecting on mass when anyone else wants to knock a tree down, let alone build on green public spaces. I thought the comments by Mr Chirs Thomas, totally in contrast to his chairmanship of ELAC when he and his then Fib Dem councillors, which included the now UKIP HCC councillor Andy Moore, voted to cut down ‘SID’ and build on Eastleigh Rec, or ELAC’s desire to allow Sainsbury to build on the rec until local residents forced Sainsbury’s to abandon the plan. I wonder if the likes of Mr Bicknell and Mr Thomas would now allow public inspection of their personal bank accounts to ensure that the votes they have made are based on the best interests of local people and not the interests of their own pockets. I publicy challenge them both to show they have not personally benefitted by their voting choice in this matter..
Dear Mr Myatt I can guarantee you I have never benefited from any decision I have made as a councillor financially or in any other way other than the councillors allowances all councillors receive. My personal bank account is just that, personal so I will decline to make it public. However if you or anyone else can proof otherwise rather than make rash sweeping accusations then be my guest. He does seem to protest too much. Mr Myatt struck a nerve? Read the last line. I just get fed up with wild fictitious rash statements such as this. Back up what you say with proof. Actually why I am I bothering with someone who doesn’t reveal their name? Mr Myatt is at least open about who he is. So to be clear Councillor Bicknell, you are refusing publicly, to prove that you have never personally benefited from this or any other planning application in your voting choice other than to make a statement that you have not done so. I just wanted that to be clear and on the record. Thank you for your reply. Actually Mr Bicknell is innocent until proven guilty. He doesn’t have to prove he hasn’t taken “backhanders”, he doesn’t have to prove he doesn’t speed on the motorway, he doesn’t have to prove he doesn’t like Mantovani, he doesn’t have to prove he is innocent of anything! He can defend himself if evidence is produced, but as yet, nothing is forthcoming. Although he often makes sense, this is just another wild accusation because Mr Myatt can’t have his own way. He has a history of it. I do think it is very important that our publically elected member’s, make clear and honest public statements in this way so I thank Mr Bicknell, for taking the time to make such an assurance is this forum, just as we welcomed his fellow Fib Dem MP, who went to great pains to assure us he did not get his wife to take his speeding points..
It’s a very common misconception to think that all councillors are ‘on the take’ because of media reports of instances where this has happened elsewhere but here in Eastleigh there would little point in attempting to bribe a councillor because as the article points out, councillors vote as they are told. They tend to go with planning recommendations and also take collective political decisions – anyone voting out of line would not last long. Any funny business would have to happen at much higher level, it would be hard to detect and in any case I am sure in Eastleigh everything is played by the book. Things are different in big Metropolitan boroughs where the stakes can be very high indeed and wherever there is a hung council and a possibility of a split decision it might be worth the while of some crooked developer to try and nobble an officer or a councillor or two to try and swing a vote their way but that’s not the case here. There’s a lot we can say about our councillors and so we should, but IMO, bent they are not. This is what happens with an undemocratic council.Full of yes men answering to the man in a white suit.All voters in Eastleigh should look at this tawdry Fib dem party in Eastleigh and do what countless voters have done across the country.Kick them out of the council chamber! A self-seeded horse chestnut tree began growing on council owned land behind my back garden a few years ago. Realising that it would mature into a massive beast, obscuring our afternoon sun, shedding leaves every autumn and eventually posing a threat should it fall, I asked EBC to remove the tree while it was still young and manageable. They refused point-blank, saying it was ‘against policy’ to remove trees, even if they were overhanging private property or otherwise causing any sort of nuisance to nearby homes! How offensive is that? When I spoke to someone in the ‘trees department’, I was told tartly that all trees are precious and EBC would always protect them – so get a court order or get lost, little ratepayer. Sure enough, that tree is already quite large and blocking the sun from our garden. But it’s OK to destroy 30 mature trees when it suits them! So much for pious comments about how precious they are. Oh yes John but their excuse for removing the 30 trees is, they are non native. What does that even mean? If they were so non native, they wouldn’t be happily growing in the location. The ridiculous party of diversity seem to think nothing of discriminating against trees lol. Also get this. Someone put to them, the trees will be removed so that passing trade can see the cars in the window. Cars are not an impulse purchase and why should the trees be moved just so people can see cars in a window. The Council’s answer was. That is what the car dealership demands and that is unfortunately what is required by the car sales industry. In a Traffic gridlocked Borough that boasts, on every road sign upon entry, “Tackling Climate Change” the LibDem’s seem very keen to help promote pollution causing car sales. I did note Cllr Thomas claim he knew car salesmen who earn more than anyone in the packed room. Hmmm?!? Just keep an eye on who gets a new SEAT in the next few months. ?